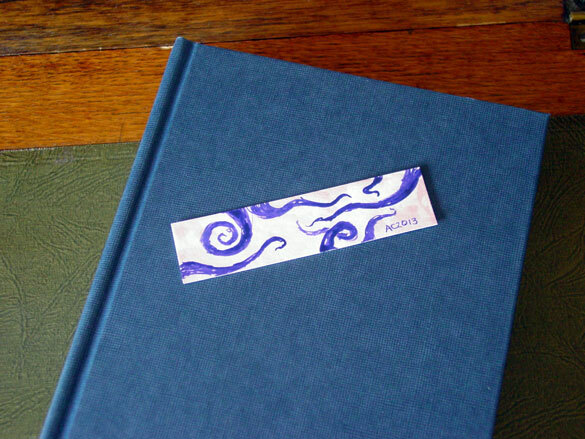 Scribbly purple tentacles come in from all sides of this bookmark, which has a soft, grainy wash of reddish violet for its background. It’s quite small, drawn on stiff archival comic backing board, and would make an excellent accompaniment to a book by HP Lovecraft. Tentacle Bookmark 5, 4″x1″ pen & ink and watercolor on paper, nfs (sold). 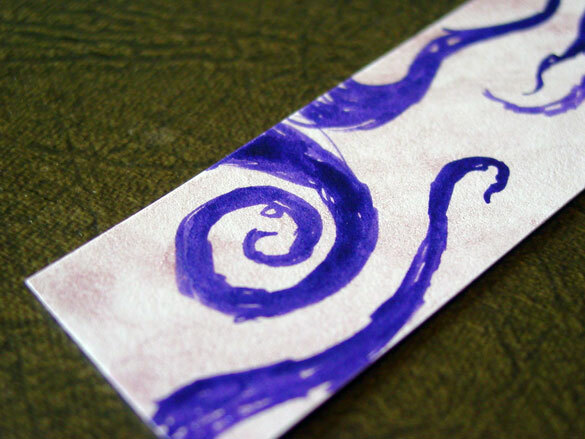 Above, you can see the spiraling purple tentacles up close, the ink going from dense to loose around the curls. 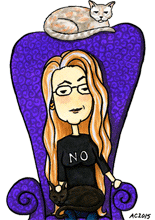 Below, you can see the bookmark nestled up to a big hardcover book, looking all dainty.